Carla King’s motorcycle misadventures began at age 14 in rural North Carolina when she identified the broken down Honda Enduro in the barn as her escape vehicle. Her dad told her, “If you can fix it you can ride it,” unaware that he was setting her up for a career in adventure travel. She started with day-long jaunts through tobacco fields and creeks and, when the family moved to California, the coast and the mountains throughout the state. A six-week solo journey through France in the 80s led to months-long sojourns in Europe, China, Africa and India. In the mid-90s Carla combined her love of travel, technology, mechanics, writing, and publishing to create the first realtime online travelogue (now called blogs), and began publishing her work and helping others self-publish. Wherever she is, you can find out more about Carla and her writing at CarlaKing.com. Carla King is an adventure travel writer, web expert, and pro-blogger who has been self-publishing since 1995. She offers author education with her Self-Pub Boot Camp series of books and workshops and Author Friendly resources to help authors who need a little more hand-holding along their publishing journey. Find out more at AuthorFriendly.com. Carla King is the founder of Self-Pub Boot Camp, an educational series of books, workshops, and online courses to help authors self-publish successfully. She also hosts the Author Friendly Podcast, which interviews the people behind the companies that help authors self-publish. Books include the Self-Publishing Boot Camp Guide for Authors, now in its 4th edition, and a free Consumer’s Guide for Self-Publishers. Carla runs the self-publishing and technology track at the San Francisco Writers Conference and writes the technology column for BookWorks. 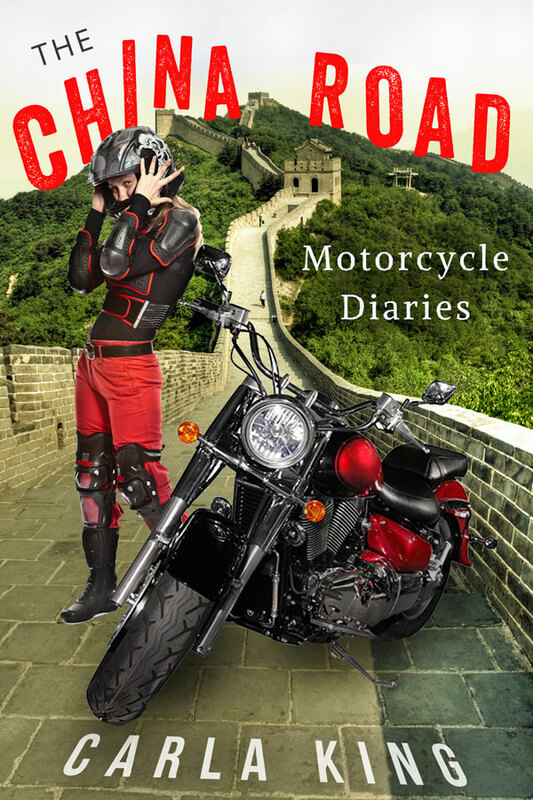 Formerly a technology and travel writer, she authored one of the first travel blogs on the internet as she explored America’s borders on a cranky Russian sidecar motorcycle. This was the first of many motorcycle misadventures to come, all blogged in realtime from China, India, Africa, and Europe. You can find her adventures on CarlaKing.com and her podcast and self-publishing services at SelfPubBootCamp.com. In the years that followed, Carla became a digital nomad, carrying a laptop in the saddlebags of various indigenous unreliable motorcycles on her solo journeys around the world, taking advantage of the internet to write stories and promote gear, gadgets, and destinations, and encouraging more women to travel solo and to ride motorcycles. Back in her native San Francisco, Carla was increasingly asked to teach others how to self-publish and so she founded Self-Pub Boot Camp, partly in self-defense. It was the earliest program of do-it-yourself workshops for authors and spawned a series of books and online courses. The program continues to educate thousands of independent authors and the professionals who help them publish. In January of 2016, Carla launched Author Friendly, a trusted resource for authors who need a little more hand-holding while navigating the self-publishing journey. Today, Carla is based in San Diego and Baja California. You can find out more about her travels at CarlaKing.com, and find publishing help at AuthorFriendly.com. Right-click on the images to download. Women on the Road: Click to read interview.